During February’s Black History Month, we recognize the many contributions that African-American people have made throughout history. Telling these often unsung stories provides a chance to help right the scales of history by bringing attention to people whose contributions have too often been ignored. It’s especially important to focus on the history of African-American women, who historically faced both racial and gender discrimination, and whose stories are therefore even more hidden from many mainstream histories. In this blog post, we’ve showcased our favorite books about African-American women and their diverse contributions to history. Among them are artists and adventurers, activists and entrepreneurs, and more — and each of them refused to be defined by others’ conceptions of what a black woman was supposed to be and reached out to seek her own dream. Their stories are heroic, heartbreaking, and hopeful, and perfect for sharing during Black History Month and all year round! In the midst of the Harlem Renaissance, surrounded by big names like Zora Neale Hurston, Billie Holiday, Bessie Smith, and more, Florence Mills made her own important contributions. She danced and sang on some of 1920s Broadway’s biggest stages, inspiring songs and whole plays, but doing so required her to shatter racial boundaries over and over. And when she sang “I’m a Little Blackbird Looking for a Bluebird,” she was really crying out for racial equality. Full of information but with a jazzy, rhythmic text and lively illustrations, this picture book biography celebrates Mills’ generous personality and her big dreams. 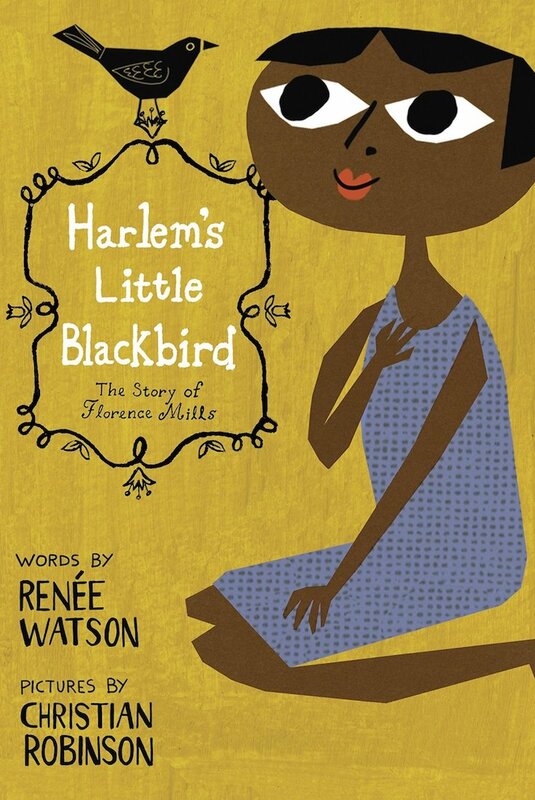 For another book about Mills, check out Baby Flo: Florence Mills Lights Up The Stage, also for ages 3 to 8. When Rosa Parks was arrested for refused to stand up on a segregated bus to give up her seat to a white person, she became the catalyst for the Montgomery Bus Boycott, a pivotal moment from the Civil Rights Movement. In this picture book biography from the Ordinary People Change The World series, author Brad Meltzer shows how Parks dared to stand up for rights by sitting down — a simple act that shows that anyone can become a hero if they defend what is right. The fun, conversational, first-person text and the illustrations depicting child-like characters reinforce to young readers that every hero was a person just like them. For more books for children and teens about Parks, visit our Rosa Parks Collection; adults can read about her extensive work for civil rights causes in The Rebellious Life of Mrs. Rosa Parks.